The Silver State Trail is hundreds of miles of designated Off Highway Vehicle (OHV) trails, making it the perfect choice for riders looking for long distance scenic tours through the range and valley landscape of Lincoln County. 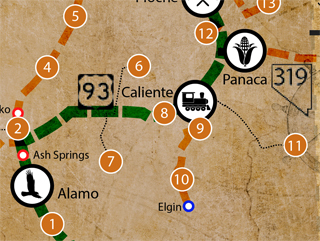 Access to towns and highways exist off of the main trail. 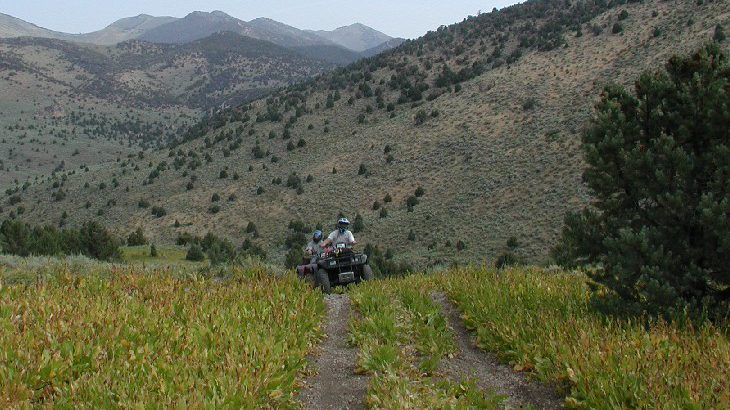 The Silver State Trail was developed and is managed by the BLM, with the help of public citizens, and is the first congressionally designated OHV trail in the Nation! This trail was designed for a ride the whole family can enjoy. The trail winds its way up mountains where pinyon and juniper trees are scattered along the steep rocky slopes. These high hills provide for some great photographic opportunities with big game animals such as elk, deer, and mountain lions all calling these mountain top islands home. As you descend into the valleys a dramatic change occurs when the vegetation turns to sagebrush and other low lying shrubs. The vast open expanses of the valleys provide for solitude and increase your chances of spotting antelope and golden eagles soaring overhead. Please be sure to bring adequate fuel, food and water for your trip. Gas stops are not available along the trail.